Batholiths are complex intrusive bodies composed of plutonic igneous rocks, usually of felsic or intermediate rock-types, such as granite, quartz monzonite, or diorite. Batholiths are also called granite domes. 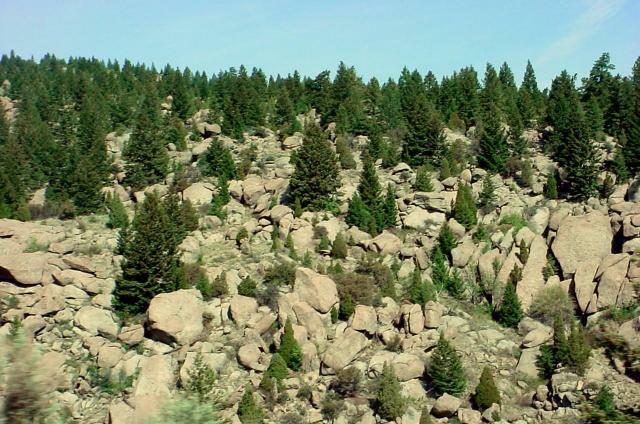 The exposed surface area is defined (by geographers) as more than 100 square kilometers, though large geological batholiths may have less exposure. Areas smaller than 100 square kilometers are called stocks. The entire batholithic emplacement is typically so large that the bases are rarely exposed, and batholiths have steeply inclined walls that form prominent dome structures when exposed by erosive removal of initially overlying rocks. Sometimes batholiths arise through several smaller diapiric intrusions (plutons) and have a complex history of magmatic intrusion and crystallization at depths of 5 to 30 kilometers. Batholith formation is commonly associated with lithospheric plate boundaries, where tectonic interactions between plates are associated with large scale melting of crustal rocks and the formation of deep magma chambers. As erosion uncovers the crystalline rock that formed at great depth, crystal structures respond to the decrease in load and expand, rendering the plutonic rocks susceptible to exfoliative weathering. Spheroidal weathering produces boulder fields, and sheet-like exfoliative weathering, which is accelerated by frost wedging, creates smooth structures like Half Dome in the 40,000 sq km Sierra Nevada Batholith in Yosemite (upper left, right - click to enlarge). The Coastal Plutonic Complex of British Columbia and Alaska is even larger, extending for 1,800 kilometers and covering 182,500 sq km. 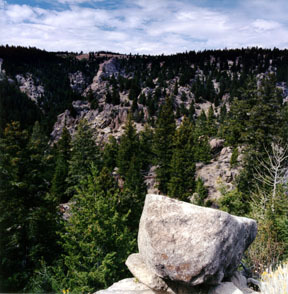 Other North American batholiths include the following: The Idaho Batholith is a composite mass of granitic plutons covering approximately 15,400 square miles in central Idaho [map, Castle Peak, Contact Batholith]. 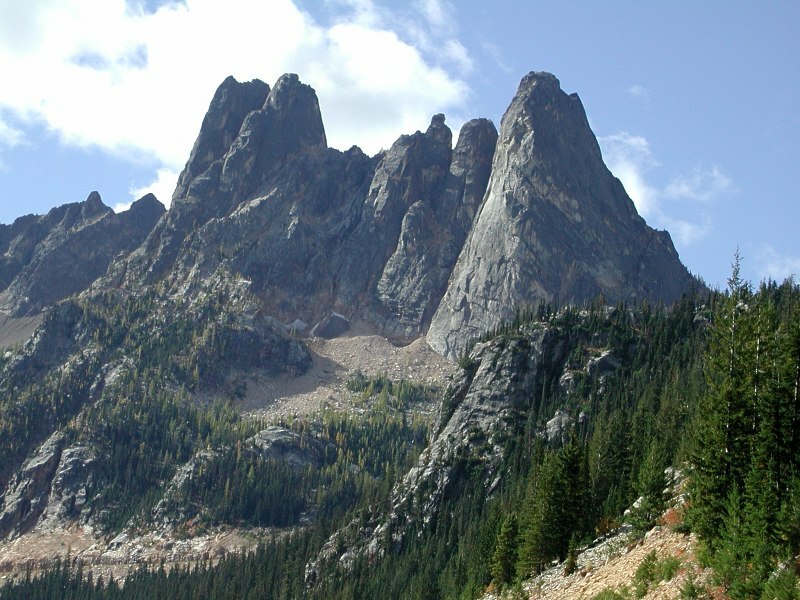 Guichon batholith in British Columbia contains several large, low-grade copper deposits. The South Mountain Batholith (SMB) of southwestern Nova Scotia is the largest granite batholith in the Appalachian Orogen with an approximate area of 7300 sq km. The Cornubian Batholith was intruded into south-west England at the close of the Variscan Orogeny (late Carboniferous - Permian).